Jess Lam manages the Clean Energy, Clean Air program. She brings international and domestic experience in energy policy, greenhouse gas inventory, and carbon dioxide removal. Before this role, Jess was managing the Clean Power program at ClimateWorks, which aims to reduce reliance on fossil fuels, advance power sector reform in key geographies, and enable advanced clean energy technologies, such as carbon dioxide removal. 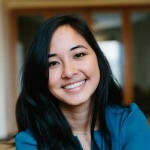 Prior to joining ClimateWorks, Ms. Lam was an Associate at ICF International working on state, federal, and international mitigation and sustainability projects. She has also interned at the Natural Resources Defense Council on building energy efficiency, at the UC Davis Institute of Transportation Studies on sustainable transportation research, and at the California Air Resources Board on legislative affairs. Ms. Lam holds a master’s degree in Environmental Management from Duke University and a bachelor of science in Environmental Policy and Planning from the University of California, Davis.